This entry was posted in bird, Fine Art, Rock Dove, Uncategorized and tagged Audubon, Brooklyn Blogger, Dawn Henning, hope, joy, love, peace, Pigeon. Bookmark the permalink. Lovely! I’ve missed seeing your posts. Shared it with my sister, also an artist https://lindahamptonsmith.wordpress.com/. 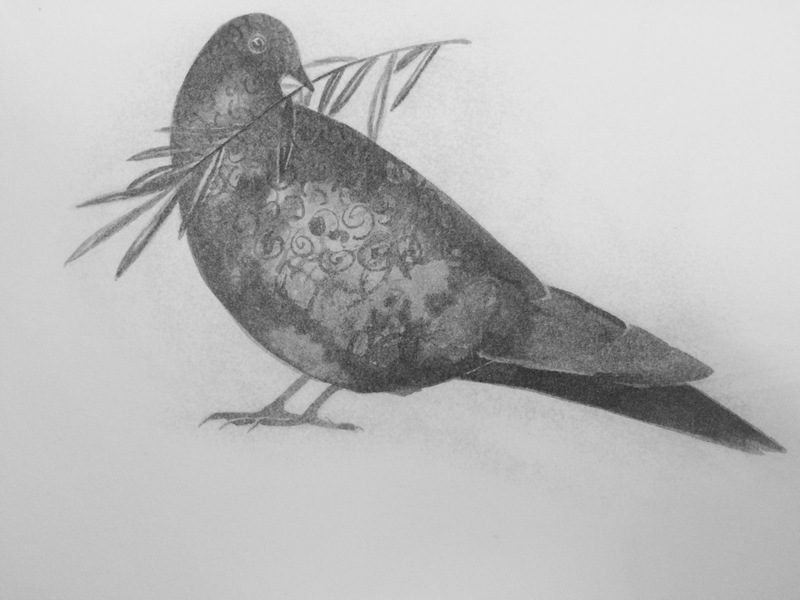 I have been reading about pigeons and doves in a book called Unseen City–a great read. Thanks so much for this! Iwill check out your sister’s work and the book!